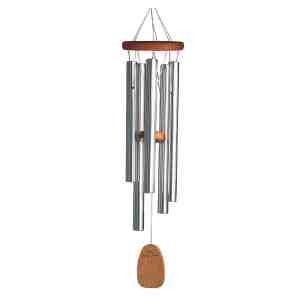 My wind chimes are ringing right now and the trees are starting to sway as the wind increases. Such behavior after a warm day means only one thing...an onshore push has started. Temperatures rose into the low 70s over much of the western lowlands today, but as we enjoyed the warmth an upper level disturbance has been approaching and the difference in pressure between the coast and interior has been rising. These changes are producing an onshore surge of marine air that will bring a substantial cooling tomorrow (by at least 10F) and the return of low clouds in the morning. Here is the predicted upper level chart for 2 AM this morning. You can see the trough--centered over Vancouver Island-- moving towards us. Onshore pushes with northwesterly flow tend to be be on the weak side. Perhaps the best way to see a push in progress is by looking at the wind and temperatures from the Seattle Sand Point profiler (below). Time is on the x-axis and height (in meters) on the y axis. If you can read the blue wind vectors, you can see that the winds are now from the southwest in the lowest 1000 meters (roughly 3000 ft) and increasing....a good sign of an onshore push. So get your sweater out for tomorrow...highs will be in the lower 60s, clouds will dominate, and there even could be some light sprinkles. By the afternoon there could be some cloud breaks and maybe a bit of sun. Onshore pushes are the main forecast problems during Northwest summers---some call it our version of air conditioning. Finally, a key point is that we are in a very different pattern from the last few weeks--it may not be hot, but endless days of clouds and rain are NOT in the forecast. KCPQ also gave me some time to talk about what I would have said on KUOW if I had been allowed. I am working on a detailed blog about my interactions with KUOW and particularly their reactions during the past few weeks. I really think KUOW has serious issues and I will try to analyze them in this work.